(Las Vegas) (never started). Photos. Framable Color Prints and Posters. Digital Sharp Images. Aviation Gifts. Slide Shows. 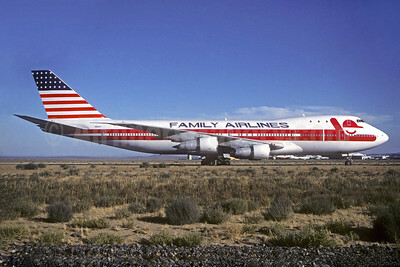 Family Airlines Boeing 747-131 N93117 (msn 20322) MHV (Christian Volpati Collection). Image: 936277.